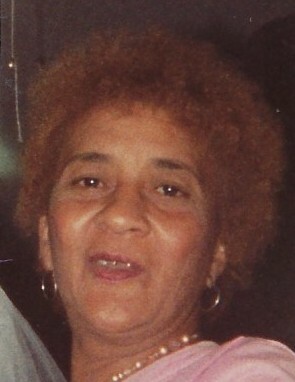 MINNIS ~ Mrs. Qunnie Mae Minnis was born November 22, 1941 in Cline, South Carolina to Harvey and Estelle Sanders. She was a member of Friendly Missionary Baptist Church until her health failed. She enjoyed cooking and feeding everyone and working in her flower garden. Mrs. Minnis was preceded in death by three children, Joseph Minnis, Jr., Karen Brookins, Calvin Minnis. She leaves to cherish her life and memory, children, Phyllis L. (Ronald) Thomas, Sr., Myrtle Mobley, & John (Dana) Minnis; seventeen grandchildren; six great grandchildren; brother, Harvey Sanders; a host of nephews, nieces, cousins, friends, including best friend, Ms. Sarah Braziel. She will be truly missed. Celebration of Life Service for Mrs. Qunnie Mae Minnis will be 11:00 AM Saturday, July 14, 2018 at Household of Faith Church, 925 Edgewood Avenue West, Bishop Lewis Williams, Pastor. Family will receive friends Friday from 5 – 7 PM at the Soutel Chapel. Interment at Edgewood Cemetery. Because of the love of her family, arrangements entrusted to J. E. Fralin & Sons Funeral & Cremation Services ~ 904.924.9400.